The Anti-bullying Ambassadors led an impressive assembly last week. 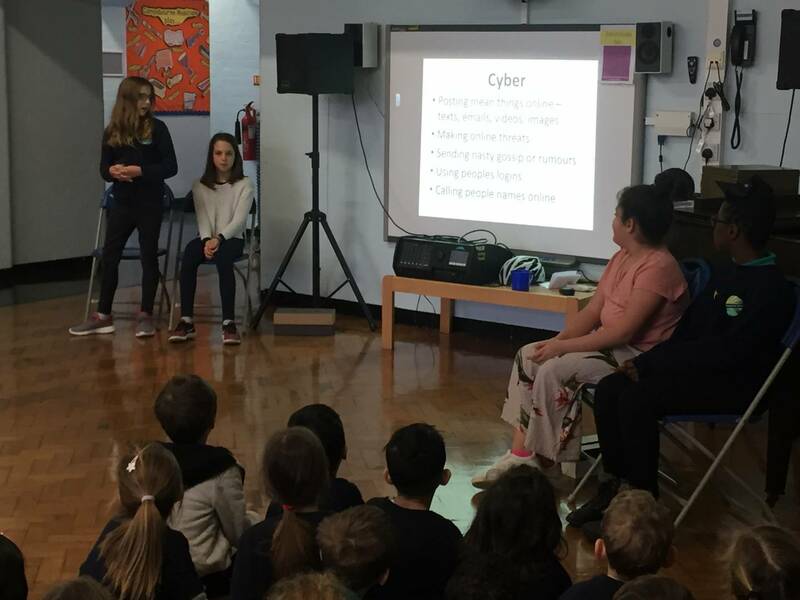 They gave the children from Yrs 1 – 6 lots of anti-bullying information on their Powerpoint presentation and introduced their concern boxes which they have placed around the school. They also let the pupils know that they would be available every Tuesday lunchtime in the Eco Room for any problem-solving sessions required.